L.L.L4L.L.L. : R U Ready 2 Curate? R U Ready 2 Curate? – a new standard for honoring attribution of discovery across the web. 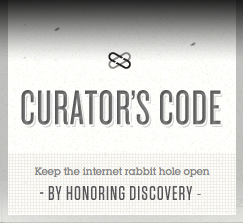 The Curator’s Code is an effort to keep this whimsical rabbit hole open by honoring discovery through an actionable code of ethics — first, understanding why attribution matters, and then, implementing it across the web in a codified common standard, doing for attribution of discovery what Creative Commons has done for image attribution. If you click on the links at the end of this sentence you will find a wide and useful range of Digital Curation Platforms - Created by Students in LIBS605 at Old Dominion Univ. Visit Curate the Web and Learn to Live | Scoop.it by Pip Cleaves, provides a super selection of articles dealing with the many aspects of curating. "Here’s to a new dawn of keeping the Internet’s whimsical rabbit hole of information open by honoring discovery like the creative and intellectual labor that it is." Are you ready to endorse the code? ^ Erin Scime (8 December 2009). "The Content Strategist as Digital Curator". A List Apart. ^ a b "What is Digital Curation?". Digital Curation Centre. Retrieved 2008-04-01. ^ Elizabeth Yakel (2007). "Digital curation". Emerald Group Publishing. Retrieved 2008-04-01. Are you reading to rap? Join a reading adventure. Is your assistant skilled for 21C duties? 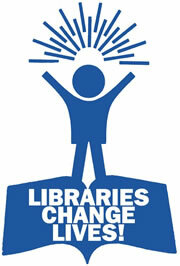 Ebooks in K-12 school libraries 2011. Vokis now have more features available.